Detailed photographs show reel design and development whilst biographies of the Hardy family members and the firm’s reelmakers give fascinating social insights. Reel production dates and quantities, plus Patent information make this essential and compelling reading. Price (Standard Edition): £125-00 includes free postage within the UK. Part subsidized rates for the rest of the world. Why not treat yourself to a special leather bound edition. This edition is limited to only three hundred and fifty copies worldwide, all of which have been individually numbered and signed by the author. Special features include marbled end papers, gilded page edges and a bound-in bookmark in the form of a scarce Hardy freight label (circa 1914). A reproduction of the magnificent diploma awarded to the firm at the 1883 International Fisheries Exhibition has been included which, bound into the back of the book can be unfolded and enjoyed. The books forming this special edition have been bound in burgundy red leather and are supplied in a cloth covered slip case. Price (Leather Edition): £225-00 including free postage within the UK. Part subsidized rates for the rest of the world. I was most honoured to be asked by John Drewett to write this foreword. 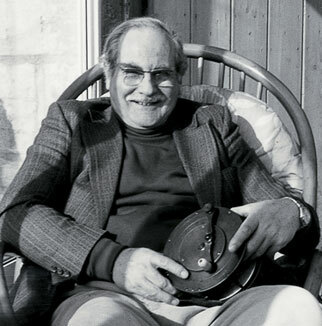 Nobody knows more about the subject, which he has been working on, to my knowledge, since the early 1980s. He has travelled many thousands of miles in pursuit of research – even as far away as New Zealand to talk to Zane Grey’s boatman. John has spent the last thirty five years in the Fishing Tackle Trade as well as being both a student and collector of fishing tackle for some twenty years. 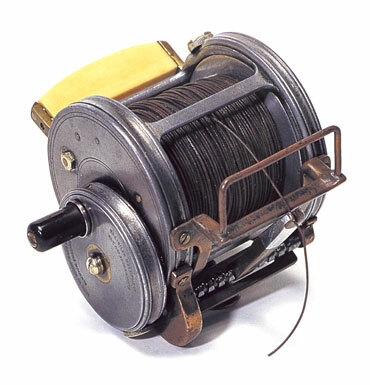 His interest in the various models of the reels made by Hardy expanded into a strong curiosity about the men who made them, which makes most interesting reading. John’s passion for the subject comes over all too clearly, and his efforts to produce a tome equal in quality to the tackle portrayed would, I am sure please all those past and present who are, or have ever been, associated with the House of Hardy. Why not take a step back in time and join Hardy’s in the Victorian and Edwardian eras with these superb catalogue reprints. 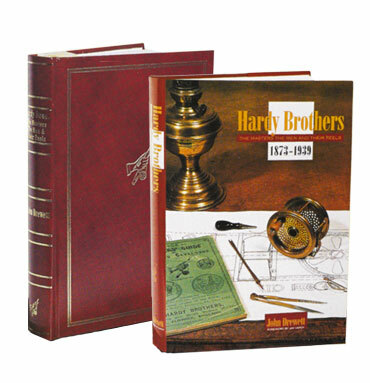 When William and John Hardy printed their first illustrated catalogue in 1886 little could they have foreseen the excitement that would follow amongst succeeding generations of the world’s anglers. The scarecity of these early Hardy publications ensure that anyone interested in acquiring examples must have a combination of luck and very deep pockets! In a bid to satisfy the intense demand for the information contained within these early catalogues we have decided to reproduce five issues of the firm’s earliest examples. After much thought it has been decided to reproduce the catalogue information in full, combining the two smaller 1883 and 1888 years, albeit separate catalogues at one price and then the larger 1894, 1900 and 1905 publications at the same price for each. Each catalogue page has been scanned and extensively cleaned where necessary and the catalogues have been bound and stitched so that in effect they are stronger and of higher quality than Hardy’s original publications. Collectively these span eighteen of some of the most inventive years in angling history and their contents give us a wonderful insight into the tackle, the fishing, and a bygone way of life. 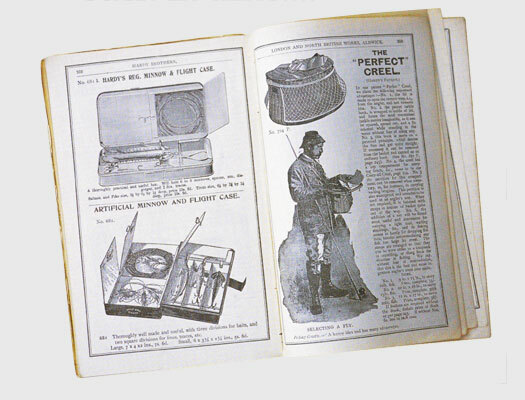 Whether your interest is in Gut Cutters or Greyhound Starters, Pneumatic Rod Buttons or Napoleon Knee Boots, it is all there for you to wonder at and enjoy. Simply inform John at the time of placing the order and your copy will be “personalized for posterity”. First published in Great Britain in MCMXCVIII by J & J Publishing. Copyright © J & J Publishing. Thank you for contacting me. I will get in touch with you soon!